Our promise to you is to deliver fast and reliable title and escrow services at industry low prices. Our mission statement is to make it easier for you to close loans and to provide excellent customer service to you and your clients. Our vast experience in real estate law includes the representation of hundreds of lending institutions in residential and commercial refinances, purchases, short sales, reverse mortgages and bank foreclosures. Our dedication to the highest level of quality representation and customer service has assisted many mortgage lenders in achieving a high volume business without sacrificing quality. We work closely with our clients, being responsive to changing circumstances and difficult time requirements, to ensure that the needs of both our clients and their customers are met. As a result of our expertise and efficiencies, we are able to provide these services at a competitive fee structure. We hope that this information is helpful in evaluating our qualifications to represent you in your next real estate or mortgage loan transaction. Fast Turnaround. On a refinance, we will return a title commitment, tax information, an insurance binder, a payoff and a preliminary Settlement Statement within 24 to 48 hours. Low Prices. We know that in today’s competitive market low closing costs are an important factor for your success. Our Title Services offers competitive rates so that you can keep your closing costs at a minimum. Customer Services. We offer flexible closing options to accommodate your borrowers. We will close in daytime or evening hours, at your client’s home or in our office. Our attorneys and paralegals are always available to answer your questions and make sure that your clients know they are in good hands. Experience. Our attorneys have over 20 years of experience performing closing and have represented hundreds of lenders and mortgage companies. We know what it takes to conduct a smooth closing transaction. Reservitz McCluskey offers representation to Buyers and Sellers in residential and commercial real estate transactions. Buying or selling a home is likely to be one of the largest transaction in your lifetime. Careful attention must be paid to the details. It is crucial to have an experienced advocate to guide you through the process. If you are refinancing, your lender will hire an attorney to conduct the transaction. Technically, this attorney represents the lender and you are entitled to have your own attorney present to assist you with the refinance. At Reservitz McCluskey we consider it our responsibility to make sure that you, the borrower, are well informed and are comfortable with the closing process and the documents you are signing. We encourage you to ask questions during the process and we will to take the time needed to answer all of your questions. If you are buying a house, hiring an attorney is money well spent. After all, this is most likely one of the largest and most complex purchases of your life. There are many potential pitfalls that must be anticipated and avoided to ensure a smooth transaction. You should hire an attorney to review the Purchase and Sale Agreement to make certain it addresses important legal issues that will help you avoid snags that could cause expensive problems such as losing your deposit. An attorney will also keep you informed of what your responsibilities are and what to expect during the closing process so there are no surprises. If you are selling your home, you should know that it is the Seller’s responsibility to deliver a deed along with clear and marketable title to the property at the time of closing. That includes collecting time sensitive information such as a payoff, taxes due, certificates for smoke and carbon monoxide detectors, and possibly a certificate of compliance with Title 5 Regulations. 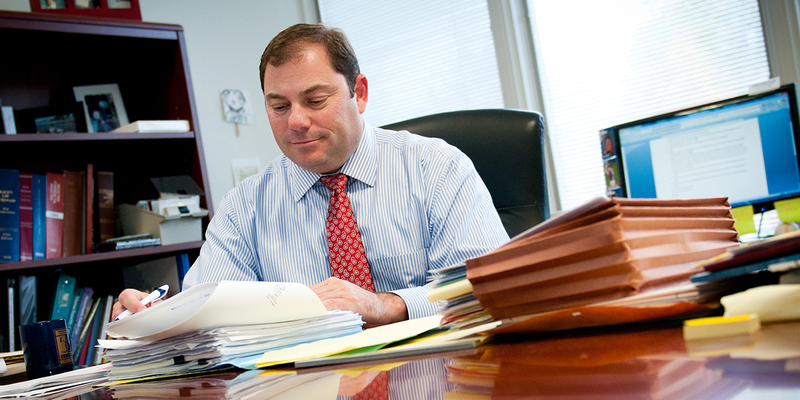 Hiring an experienced attorney to handle these matters will ensure your sale goes smoothly. My neighbor told me I do not need Title Insurance. What is the truth? Buying a new home is one of life’s most gratifying experiences and your biggest investment. You might easily overlook the single most important step in the entire process – the purchase of title insurance on your wonderful new home. Title is the legal history of the ownership of the property and mortgages or other liens that may affect it. Performing a proper title examination with provide proof that a person has clear and unencumbered ownership and possession of land. This is a crucial component when buying property. A Buyer does not want to find out 10 years down the road that a mortgage or tax lien was not paid off at the time of the purchase. It is even possible that someone other than the Seller has a legal right to the property you intend to buy, or that prior liens against the property have been discharged incorrectly. In addition to the foregoing, there can be a number of problems that remain undisclosed even after the most careful search of public records. These hidden defects are very dangerous and sometimes are not discovered for months or even years after you purchase your home. Such a defect could drastically affect the value of your property or even prevent an owner from refinancing or selling their home. You could be forced to spend substantial time and money on legal fees to correct these problems or to protect your right of ownership to your own property. Owner’s Title Insurance provides you added peace of mind by protecting you from these hidden defects and providing legal defense for covered risks. 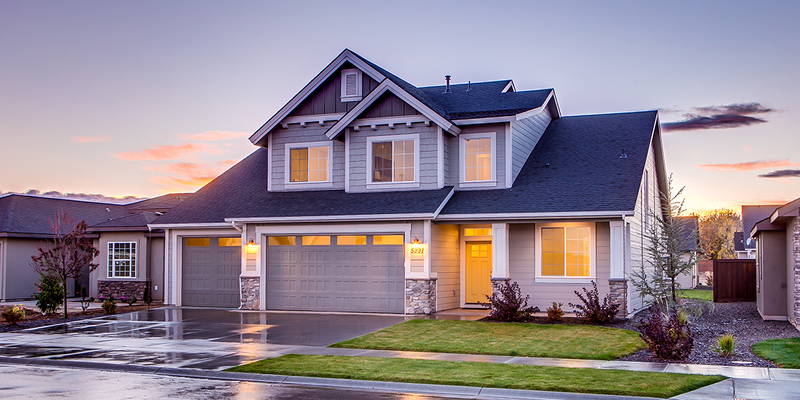 Owner’s Title Insurance is a one-time-only expense, and usually paid when you purchase your home. Yet it continues to provide complete coverage for as long as you or your heirs own the property. The premium is directly related to the value of your home. Typically, it is less expensive than your annual auto insurance. Call us to calculate the premium. Quite simply, if you own a home you should have a homestead. The Homestead Protection Act automatically protects you from judgment creditors up to $125,000.00. But recording a Declaration of Homestead for most families will provide protection up to $500,000.00, and sometimes more depending on your circumstances. Why is my payoff greater that the balance on my last mortgage statement? Unlike rent, your mortgage is paid in arrears. When you pay your mortgage payment due January 1st it is applied to the period of December 1st to December 31st. Consequently, when a payoff is ordered, interest is calculated forward from the beginning of the month to the day of closing. My loan has been approved. Should I make my next mortgage payment? If you your loan has been scheduled to close you should try to hold off on making your next payment so long as it will not be 30 days past due by the time of the closing. You may incur a late fee if is beyond your grace period, but it is unlikely your credit will be negatively affected. Paying your mortgage too close to the closing date may require the bank to redraw the documents and delay the closing. What is the Closing Disclosure? A Closing Disclosure (CD) is a document which discloses all of your loan costs, how much a Buyer needs to bring to closing, how much a Seller will receive and adjustments between the Buyer and the Seller. This Document replaced the Settlement Statement, otherwise referred to as the HUD of HUD-1 and the Final Truth and Lending Disclosure (TIL). It differs from the HUD as it is a separate document for the Buyer and the Seller. The most significant change is that this document must be disclosed to a Buyer 7 days before closing with the final CD being delivered to the Buyer at least 3 days prior to a closing. If anything changes that affects the interest rate or the APR of the loan more than 1/8% the lender is required to re-disclose and start the process all over again. This is designed to be a consumer protection practice. It does prevent a busy bank from disclosing the final numbers the night before the closing or even worse at the closing table, but it can also cause a closing to be delayed or postponed up to 8 business days. This process is referred to as TRID (for Transactions Impacted by the Integrated Mortgage Disclosure Rule) and will be a big part of your transaction. Real estate agents are an important part of a purchase or sale of a home. You should make sure to select a qualified and knowledgeable realtor. They will guide you through the transaction and inform you of things you may not think of until it is too late. A cash purchase seems like a simple strait forward transaction, but it can be very dangerous without proper supervision by a qualified real estate attorney. When a Buyer borrows money from a bank to buy reals estate, the bank hires an attorney to research the title an make sure the bank is in first position to foreclose on the property in the event the Buyer defaults on the loan. Although this is done for the benefit of the bank, the Buyer receives the benefit of the attorney’s work, making sure the property has clear title and all liens are properly discharged. In addition, the bank attorney will prepare and coordinate and record all of the documents required by the lender and required to complete the transaction such as a deed or discharges from the prior owner’s mortgage. The bank attorney will also act as the escrow agent. As escrow agent, the attorney will collect and distribute the funds, make sure all liens are paid off. When a property is purchased with cash these task must be performed by an attorney. A Buyer should hire an attorney to research the title, prepare and record the correct documents and make sure all liens are paid off and discharges are recorded properly. The Seller should hire an attorney to prepare a deed. The Buyer and the Seller will also need the attorney to act as escrow agent to collect and distribute the funds accordingly. Investors should be weary of owning investment properties without the protection of a Realty Trust or LLC. A trust or LLC can protect the owner from liability imposed upon them by mishaps that occur on the property. When an investors own a property in his or her name individually, all of their assets are at risk in the event of a law suit for negligence arising from an incident occurring on the investment property. Contact us to learn more about trusts, LLCs and liability protection.